There are many ways to use your spiritual gifts in service and ministry. Whether you would like to be on a Ministry Team that heads up ministries or simply volunteering inside a ministry, your gifts and time and talents are all welcome. To see all of the ministries that PPC has to offer, take a look at our Opportunities For Service Booklet (this is a booklet that you should print in order to read). Ministry teams are groups of people who have the gifts and passion for a certain ministry and work together to lead and accomplish that ministry. 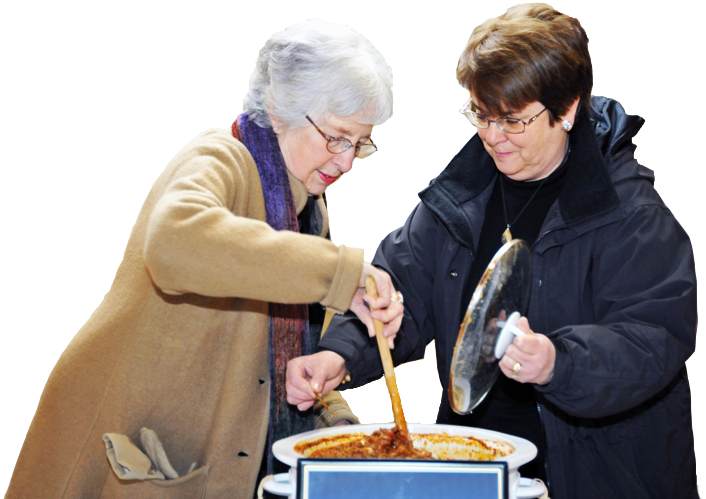 Ministry teams provide a wonderful mix of task and fellowship for their members. Group members serve together, and through their sharing of labor and time, they grow in their care for one another and in their faith. What if I’m interested in a ministry that doesn’t exist? The Opportunities for Service Booklet describes dozens of opportunities for you to serve, but if you would like to begin a new ministry, talk to the Equipping Ministry Team and we’ll help get you started!